You can already hear a distant drumbeat, the pounding of 40-gallon drums holding printer’s ink. Freshman state Rep. Jonathan Stickland, who rode into the Texas House on a surge of small-government austerity, has filed a bill he says will save taxpayers millions of dollars. Stickland’s House Bill 335 would rescind laws that require all government bodies to pay newspapers to advertise their public notices. Instead, they would be free to post these notices on their taxpayer underwritten government websites. Be forewarned, the following will include allusions to and even overt references to government transparency and accountability, an informed public, the commonweal and all that. But really, when you get down to it, as we must when it comes to government, it’s going to be all about the money. And make no mistake, it’s a lot of money. In the age of the Internet, the government tether to expensive ads in newspapers people increasingly aren’t reading is horse and buggy thinking, Stickland says. Most government bodies, even tiny municipal utility districts (MUDs), have their own websites. Posting notices of upcoming public meetings and important actions, even soliciting public input, could be done as effectively at little or no cost on those websites, Stickland says. Just how much taxpayers could save is a little hard to figure. When contacted by Texas Watchdog, neither the Texas Press Association nor the National Newspaper Association could provide estimates of how much newspapers earn from taxpayer-funded advertising. Anecdotal evidence – like the $25 million a year Pennsylvania is likely spending, according to an Annenberg Center on Communication Leadership and Policy study, or the $4 million annually that school districts alone in Texas spend, a state Comptroller study found – hint at an enormous market. Or in figures from around the country provided by legal-notice.org, a nonprofit clearinghouse for, believe it or not, news concerning public notice law. Tarrant County Judge Glen Whitley told Stickland’s staff moving to website notices would save county taxpayers $50,000 per year. The National Newspaper Association back in 2000 estimated 5 to 10 percent of a newspaper’s revenue came from public notice advertising, the Annenberg Center report said. The figure today is as much as but no more than 5 percent in Texas, Donnis Baggett, executive vice-president of the Texas Press Association, says. And while classified advertising revenue dropped 29 percent during the period the Annenberg Center looked at, public notice revenues were off by 4.3 percent. Cue an incessant ink drum beat getting louder. The editorial board for The Eagle in Bryan-College Station wrote that newspapers make a pittance on public notices and offer a tremendous public service. “While at first glance, the bill seems innocuous, it is, in fact, dangerous – and, it won’t save much money, either,” the editorial said. Mark Engebretson, editor of the Lake County Sun, called on readers to take action. At the top of the list of bad reasons, Baggett says, is leaving the legal responsibility of public notice in the hands of public officials. As even a casual reader of Texas Watchdog can tell you, despite the endless rhetoric, public officials have an unrelievedly awful record of making sure the people know what they’re up to. But if it were to come to pass, Baggett says citizens would be left to search each and every website for each and every notice from each and every government body. Providing the government body has a website. And providing the citizen has a computer. Relying on new technology threatens to disenfranchise the poor and minorities, something the Texas Press Association has written extensively about. Not in print but on its website, Keep Texas Notified. If Keep Texas Notified can keep Texas notified, why couldn’t websites operated independently of government compete for the advertising monopolized by newspapers? The laws themselves, for one thing. Legal-notice.org shows no record of any change other than that at the local level. In 2008, 153 bills, amendments and proposals like Stickland’s were proposed, the Annenberg Center study said. Few got a hearing, and none at the state level passed. Rick Edmonds, a media business analyst for the Poynter Institute, a St. Petersburg, Fla., journalism think tank, says newspapers have so far protected their turf. “Seems to show that the old media has some clout still, slapping down these proposals as they come up,” Edmonds wrote in an e-mail to Texas Watchdog. Expect Stickland’s bill to get slapped around by the old media some more before the session is over. 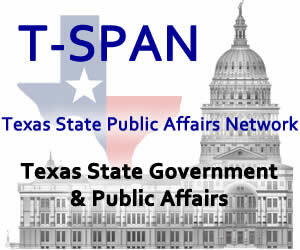 Keep up with all the latest news from Texas Watchdog. Fan our page on Facebook, follow us on Twitter and Scribd, and fan us on YouTube. Join our network on de.licio.us, and put our RSS feeds in your newsreader. We’re also on MySpace, Digg, FriendFeed, and tumblr. Photo of horse and buggy by flickr user K.B. Ansari, used via a Creative Commons license.